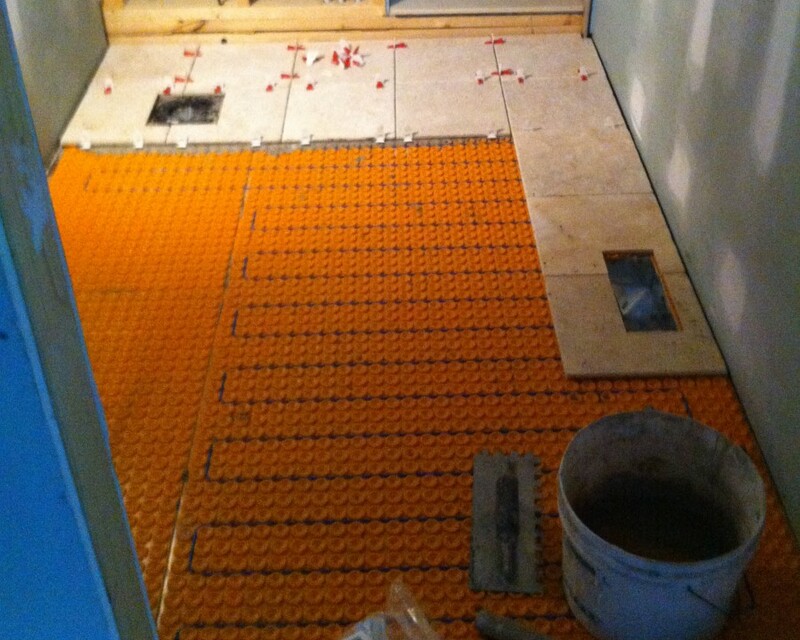 Bathroom floor is heated with Schluter Ditra Heat. 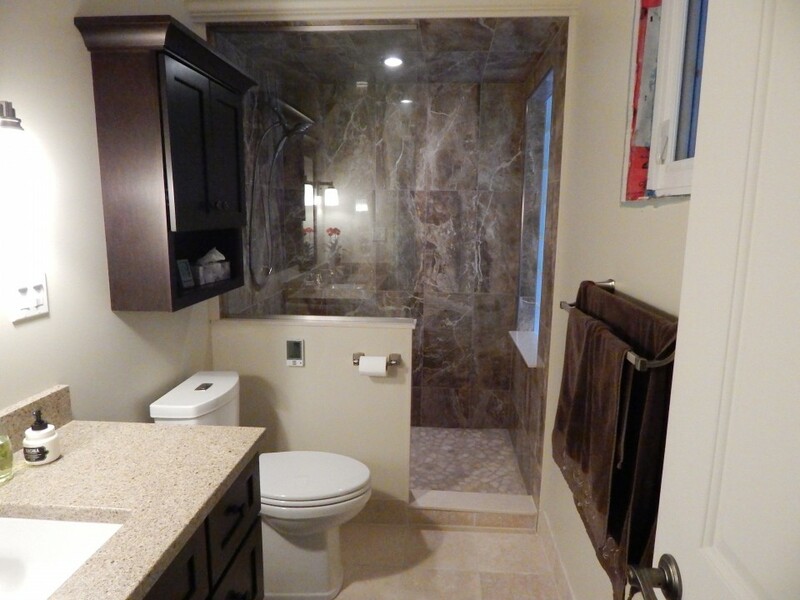 Wedi drain and onyx mosaic. 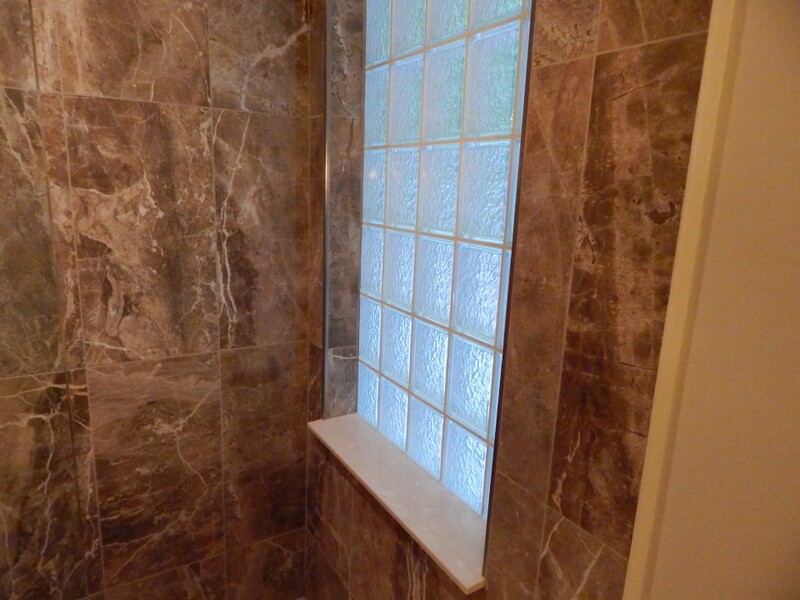 Glass blocks provide privacy and ample daylight. 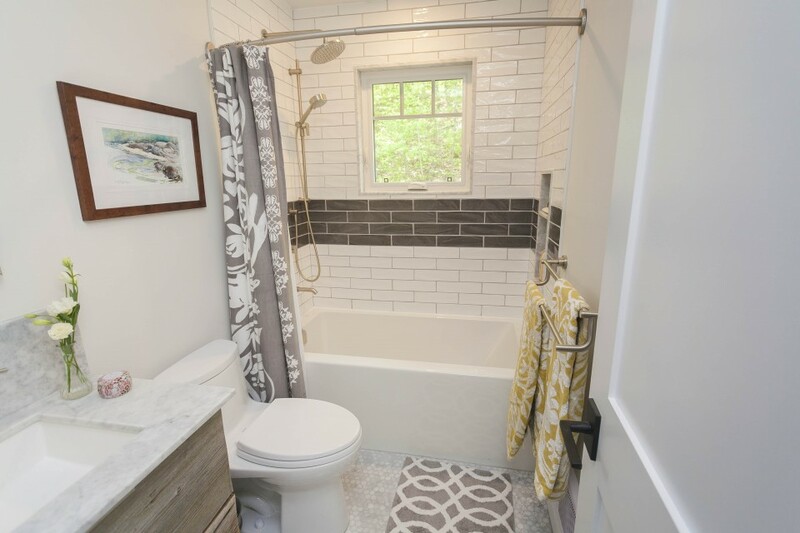 The door-less shower and this bathroom were designed by the home owners. 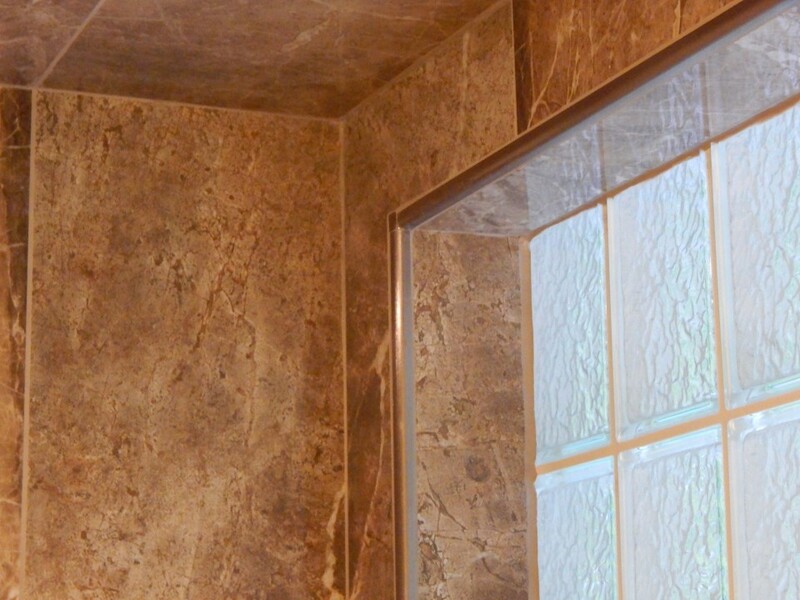 This Door-less shower is easy to clean because of the reduced glass surface. 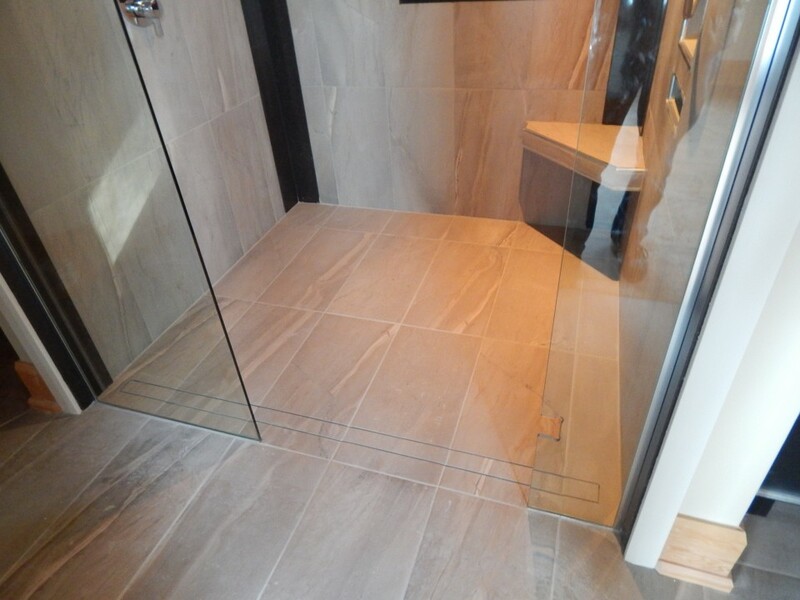 Large format porcelain tiles and narrow grout lines also help in the maintenance of this beautiful door-less shower. The house is located on Malcom Road (Paudash Lake). 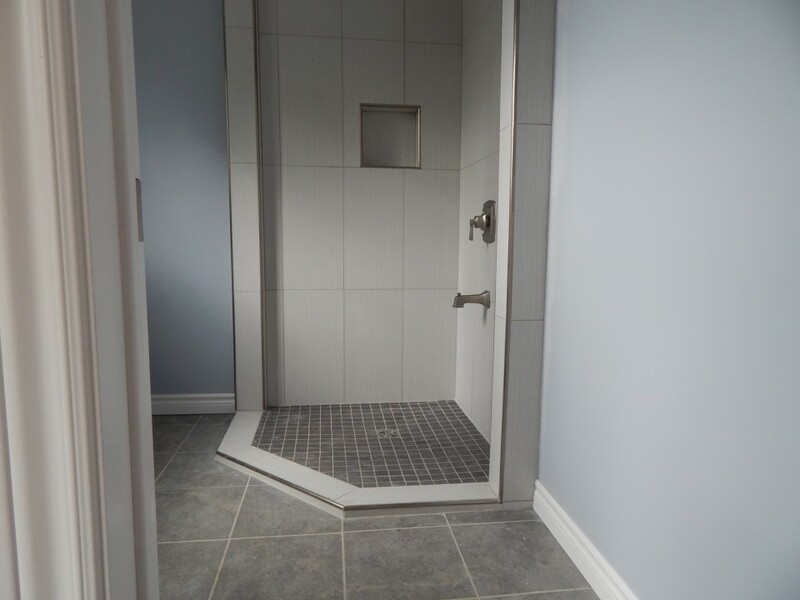 The owners did an excellent job of water proofing the shower stall with Wedi Board. They also installed the Wedi Shower base and drain. 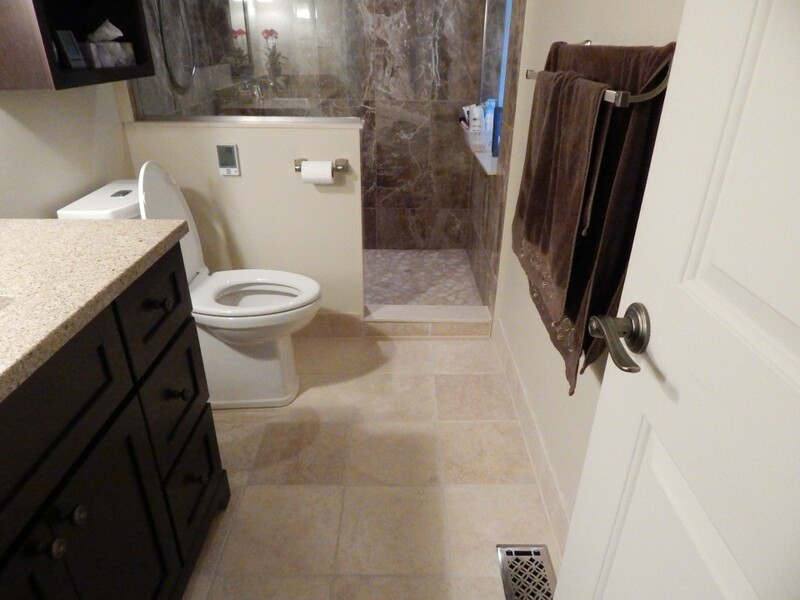 Creative Tiling Solutions was contrated to do the tile work…. 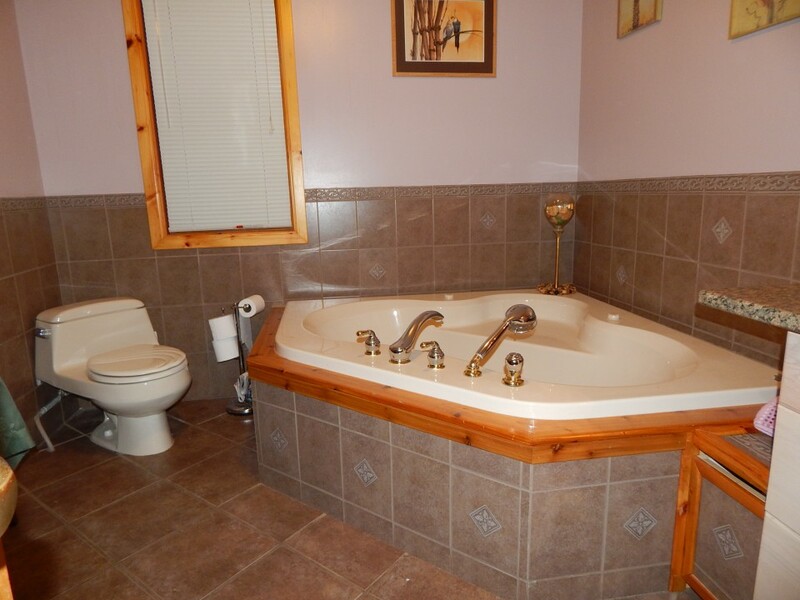 Master Bathroom in the house of Connie and Mario Zammit on Malcom Road on beautiful Paudash Lake. 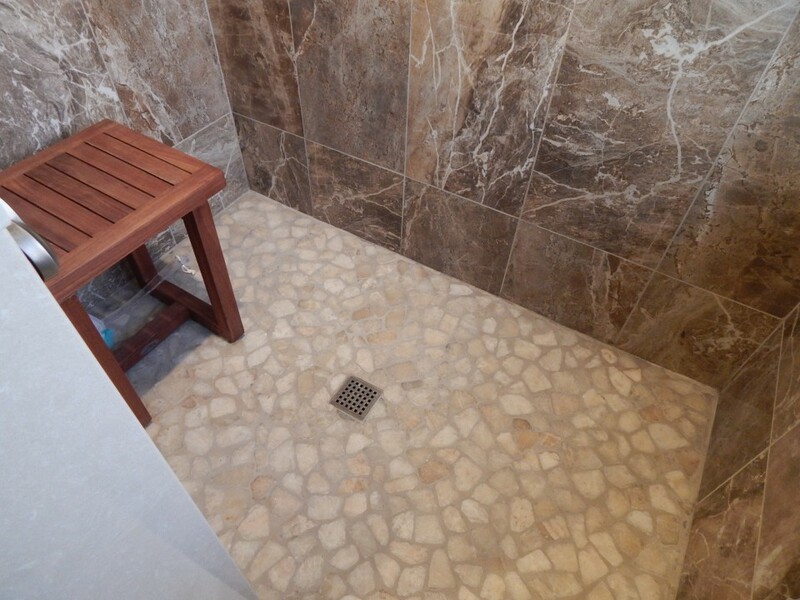 Bathroom floor: 12 x 12 tumbled travertine.